Technology is driving innovation across every industry, from travel and hospitality to finance. And, while the rail industry as a whole has come a long way since the world’s first railway journey in 1804 in South Wales, it still seems to be lagging behind other transport industries. Now, especially with rail and metro systems in Asia and the rest of Europe rapidly improving, it’s time the UK made some changes, too. Between 2016 and 2017, rail passenger growth in the UK slowed to just 0.8%, the lowest margin to date. While there were still 1.7 billion journeys within that period, the decline (however slight) should be a call to action. In order to keep up with passenger demands, the industry simply has to evolve, modernise and improve the quality of its services. The question is, how? To start, the customer experience has to be streamlined, train reliability improved and delays reduced. Easy, right? But, it’s not just about satisfying the needs of customers. The industry also has a growing responsibility to contribute in a big way to the decarbonisation of European transport, specifically through rail freight. This, of course, requires operational and technical innovation in addition to being more well-connected and modernised. What’s more, the bar has been set incredibly high. Germany has opted for clean transport by choosing hydrogen-powered trains over diesel and America is committed to clean, high-speed rail travel as apart of The Green New Deal. Over the last several years, we’ve seen massive changes in how we commute, including online booking, contactless payment cards, live train travel updates, and even on-board Wi-Fi. At a period in time when instant and constant connection is expected, these changes have certainly helped to improve the overall customer experience. But, there’s more change to come. Facial recognition – now hugely popular thanks to the iPhone X – should make its way into stations in the UK, as has already happened in China. 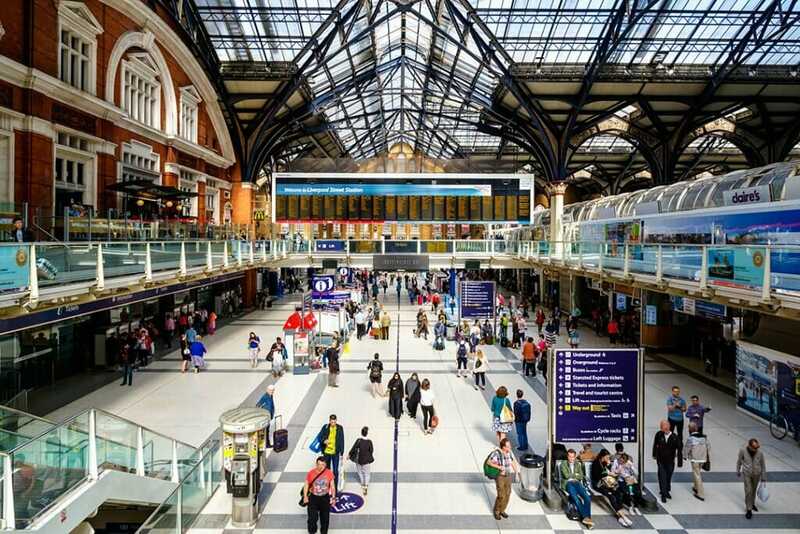 When you consider that congestion at ticket barriers is cause for customer grief, it’s apparent how much facial recognition devices could transform rail travel, specifically in major cities during peak travel periods. These facial recognition devices, as well as contactless payment devices, smart cameras and Wi-Fi connection all help train operators and transportation departments collect useful data which in turn helps them provide a more efficient service. Data around customer journeys, boarding times and train capacity can be used to inform changes to the speed and frequency of trains. Even apps like Trainline can use this data to help predict price changes and alert customers of when to buy. All of this contributes to an improved customer experience. Smart technology and the collection and interpretation of data are invaluable to the rail industry’s evolution, but innovation in how they operate and are managed could have massive impact on customers’ journeys and the environment. But, these changes rely on more than just modern railway infrastructure like electrifying the network with overhead line wire. In order to really affect change, the industry will have to remain dedicated to energy efficiency, continue using automation for improved reliability and adopt new methods for maintenance and repair. Innovators have risen to the challenge. Augmented reality (AR), holographic projection, thermal and visual imaging equipment, and digital twin models are all being used to help maintenance workers, engineers and data scientists understand, navigate and repair complex networks and systems. While these technologies are in their infancy, they’re developing quickly. In particular, we’re seeing smart eyewear technology taking off. In 2016, commuter rail workers in Boston, Massachusetts began using the glasses to aid in communication and increase the speed of repairs. Today, the smart eyewear market is worth nearly £50 million and isn’t slowing down.